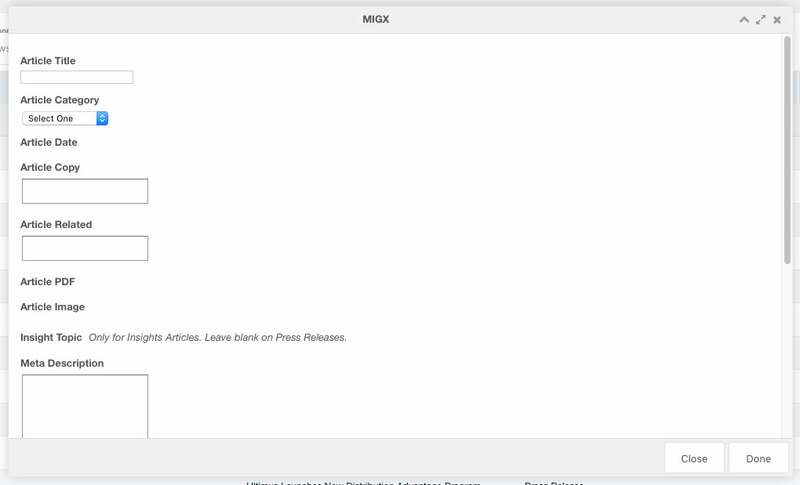 In 1 of the 7 migx configurations for my clients site the rich text editor doesn't work. It just shows as a box with a line around it, see attached. 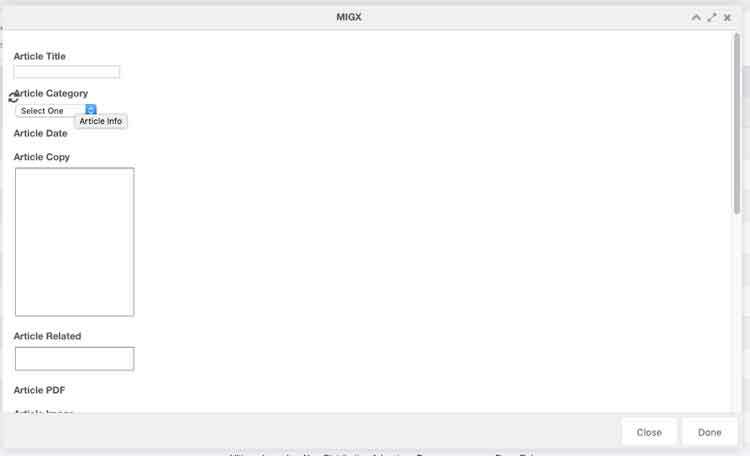 The rich text editors in the other 6 work perfectly fine. I recently moved the site to a new directory, not server, and upgraded modx and plugins. Opening a window to enter data for the configuration throws a JS TypeError, see attached. It seems this is somehow related. Once I close the window and reopen all styling gets lost along with some missing data. I've tried rebuilding the package and configuration, but it still does the same thing. This question has been answered by Bruno17. See the first response. image-uploads is broken on the forums. could you show me your MIGX - configs? Is this what you want to see? which MIGX - version is this? the acopy - field makes the issue? does it work fine, when you change that field to "inputTVtype":"textarea"? that does make the text box bigger, but the client needs it to be rich text since they're not familiar with HTML. Plus the styling and functionality problem still remains when opening the window a second time. Like I've said, I've deleted the configuration and rebuilt it, but the problem still remains. And its only with this configuration, there are 6 other ones that work great. Let me know if you would like access to the site to review. I think, I have it. 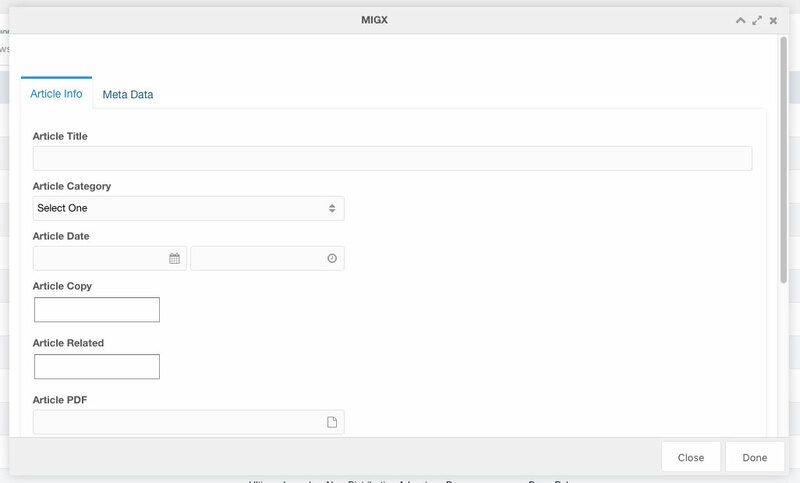 Give each config a unique MIGX-id. They are empty in your configs. This can be the name of the config. The other configs did work, because there is only one formtab (no tabs). 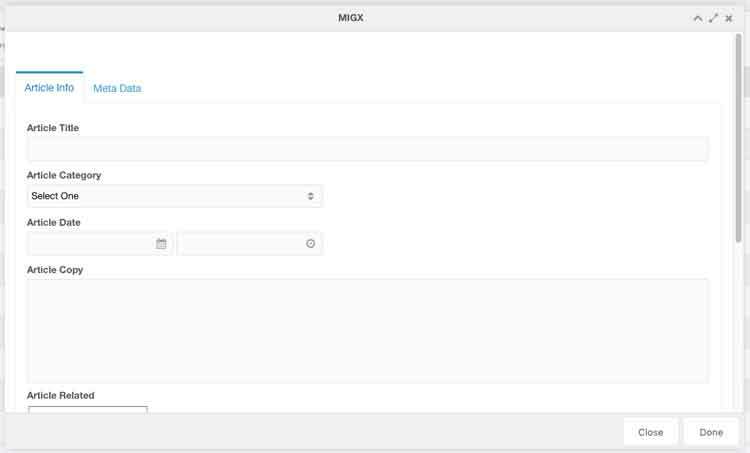 The unique MIGX-id is used to identify different parts of the grid and the fields and tabs within the modal. That did it! Thanks for all your help!